Urban Development Minister Sudhir Sharma on his first visit to this temple town today, after assuming charge, announced that all the pilgrim towns in the state would be given different packages to provide basic amenities to pilgrims. Clearing the mess in higher education by the indiscriminate opening of private institutions, particularly universities, and salvaging the future of the students who have been awarded unrecognised degrees will be a huge challenge for the new government. A largely attended meeting of the Ghumarwin Mandal of the BJP at Nihari Rest House, near Ghumarwin, yesterday under the chairmanship of mandal vice-president Ashwini Ratwaan took a serious note of the alleged anti-party activities of at least nine office-bearers and other top leaders of the mandal who were allegedly involved in ensuring the defeat of BJP candidate Rajender Garga. In a bid to discipline workers and strengthen the party, district Congress committee president Rahul Thakur today said reports about anti-party activities had been received from various block committees in the district and strict action would be taken against them soon. With the death of a factory manager due to collapse of a wall in an industrial unit at Jharmajri last week, a question mark has been put on the safety standards being adopted during construction activities in various industrial units. The Reserve Bank of India (RBI) has postponed by three months the introduction of the new cheque transaction system (CTS) throughout the country. It will be introduced on April 1 next. Sushil Kukreja, District and Sessions Judge, Bilaspur, exercising powers of the Special Judge, recently sentenced Pyare Lal of Aunehar village in Kangra district to two-year rigorous imprisonment with an additional fine of Rs 20,000 for possessing and transporting charas under Section 20 of the NDPS Act. Failure to pay the fine would attract two more months of simple imprisonment. Brij Behari Lal Butail, Palampur legislator and senior Congress leader, today said his top priority would be streamlining all development activities in the area which had come to a standstill during the last five years. In order to provide life-saving drugs to poor patients at the minimum cost, the state high court had constituted a 13-member expert committee of senior government doctors. While constituting the committee, the court appointed Medical Superintendent, IGMC, Shimla, its convener and requested the committee to submit its report to the court by January 10, 2013. In a move which is aimed at checking the sale of drugs without price approval, the National Pharmaceutical Pricing Authority (NPPA) has issued directions to all drug manufactures to seek price approvals for all scheduled formulations. After a week-long hide and seek of the sun and snow, the arrival of hundreds of tourists from across the country for New Year celebrations has broken a long spell of slowdown in the tourism industry of Manali. With the Assembly poll results in most districts being a mixed bag, Kangra has once again proved to be the deciding factor in favour of the Congress, which not only won 10 of the 15 seats in the largest district, but also strengthened its hold over its bastion, Shimla district. The recommendations made by the DP Sood Commission on ‘benami’ and other land deal violations will be put on hold as the Cabinet will take a final view on the report after examining it afresh. The government today appointed Kuldeep Pathania, former Chairman of the State Finance Commission, as Chairman of the Himachal Pradesh State Pollution Control Board. Asserting that his government will adopt zero tolerance to atrocities on women, Chief Minister Virbhadra Singh today directed the police to ensure prompt registration of First Information Reports (FIRs) and speedy investigation of trial of the accused in such cases. With icy cold winds intensifying in the Holi tribal dell of Bharmour tribal subdivision in the district, water supply pipes have frozen, thereby creating a drinking water problem, according to reports reaching here today. The Himachal Pradesh Congress Committee (HPCC) has urged the government to probe the issues related to land and irregularities committed by various private universities in the state during the BJP regime. A hotel employee at Bamta on the outskirts of this town on the National Highway No. 21, who had fallen from the top floor of a building, died on Saturday night. Members of the Union Health Ministry’s expert committee, the Central Council for Research in Yoga and Naturopathy (CCRYN), and researchers of different subjects recently urged the state Education Department to include talent and skill development classes in curriculum to curb the deteriorating level of moral values among the youth and save them from taking to drugs and sexual abuse. The state high court today convicted Jeet Ram of Theog and sentenced him to 15-year rigorous imprisonment for possessing 13 kg charas under Section 20 of the Narcotic Drugs and Psychotropic Substances Act, 1985. It also imposed Rs 2 lakh fine on the accused. Jwalamukhi town will get a Government Degree College and Chief Minister Virbhadra Singh will lay a foundation stone after the matter is discussed with him during his Kangra winter sojourn. Bilaspur, December 31 Vishal Bhamnotra, Judicial Magistrate, Ghumarwin, recently held Vinod Kumar of Dehra Gopipur in Kangra guilty of careless and negligent driving and sentenced him to two-year imprisonment and a fine of Rs 8,000. The court found Vinod guilty of hitting Dina Nath of Padyalag Chowk village, near Ghumarwin, killing him on the spot. He was sentenced to two-year imprisonment and fined Rs 5,000 under Section 304-A of the IPC. Contractual employees of the state government working in various departments in this district gathered under the banner of the All-Himachal Sarva Contract Employees Mahasangh under the leadership of state vice-president Rattan Lal Thakur. The Students Federation of India (SFI) has opposed the move of the state government with regard to “the present education policies that are beyond the reach of the common man”. Presiding over a meeting of officers of different departments functioning in Nurpur subdivision, newly elected local MLA Ajay Mahajan today directed the police administration to enforce a one-way traffic rule notified in 2002 in the town effectively to ensure the smooth flow of traffic. He said his vehicle could be challaned if it violated the law. Sudhir Sharma, who was elected from Dharamsala after defeating former Industries Minister Krishen Kapoor, was talking to mediapersons at the local Tandon Club. He said villages, which were in the vicinity of bigger towns and being ignored, would be developed as towns with urban area facilities. In a reply to a question, the minister said the limits of the Kangra Municipal Committee would be extended, if required, keeping all the suggestions and necessary facilities in view. He charged the previous BJP government with discriminating most of the towns in the state and only a few towns were put on a trail of development. He assured all present that the Congress government would not discriminate against any region of the state. He said the Congress government led by Virbhadra Singh in the previous tenures had given a boost to the development of this region too and, thus, people of Kangra had defeated BJP candidates on 12 of the 15 seats. He said some disgruntled elements within the Congress party had paved the way for the defeat of party candidate Surinder Kaku from Kangra. Such people were neither friends of the Congress nor had any place near Virbhadra Singh, he added. Kaku, who lost from Kangra to a BJP rebel by a little margin, said he would carry on the developmental work of this constituency through Chief Minister Virbhadra Singh and the Cabinet. Kangra district BJP chief Suman Verma and general secretary Ved Prakash Sharma were present at the club. Earlier, Sharma was accorded a rousing reception at the Kangra bypass, tehsil chowk and club on his arrival here. He was also welcomed at Chatru on way to Dharamsala. Palampur: Sudheer Sharma was given a warm welcome on his arrival at Jwalamukhi. He was on way to Dharamsala. Hundreds of Congress workers and senior officers of the state government received him at Nadaun, 60 km from here. Later, Sharma also visited the famous Goddess Durga Temple at Jwalamukhi. Speaking to mediapersons at Jwalamukhi, he said his top priority would be the planned development of the fast-growing towns of the state like Dharamsala, Kangra, Palampur, Baijnath and Nurpur. He said in the past few years haphazard growth of many towns was witnessed. He said the Chief Minister had decided to initiate stringent measures to make the Urban Development Department more effective and check unplanned growth of towns. He categorically stated that if needed laws would also be amended for the same. Deputy Commissioner, Kangra, KR Bharati and Additional Deputy Commissioner Ashish Singhmar were among those present. In the current academic session, 55 per cent of the sanctioned seats have remained vacant. Of the 11,592 seats, only 5,329 have been filled. The Institute of Chartered Financial Analysts of India University has not admitted any student for the last three sessions. It is obvious that the state does not require such a large number of universities and there is no feasibility thereof. There are gross financial irregularities as financial rules and statutes are not being followed. The new government should come out with an exit policy to close the universities which have flouted University Grants Commission (UGC) norms or which are unviable instead of allowing those to indulge in malpractices. The gravity of situation can be judged from the fact that students have been admitted to various courses after clearing the class X examination in violation of UGC norms which clearly lay down that minimum qualification for admission to a university is class XII. Some universities have committed a fraud on hundreds of students as their degrees cannot be recognised. The government will not only have to take deterrent action against the erring institutions, but find a way out to get their degrees recognised. Institutions which do not have any postgraduate classes or qualified faculty have enrolled students for PhD courses, which is in violation of UGC regulations. The Congress had made private universities a major issue and termed those as a ploy to allow outsiders to acquire huge chunks of land. Section 118 of the Land Reforms and Tenancy Act debars non-agriculturists from acquiring land in the state without prior permission of the government. The charge stuck as the previous government did not follow any land norm. The authorities of the Arni University in Kangra district were allowed to acquire 624 bigha. It was acquired by former Haryana minister Gopal Kanda, who came into the limelight with the infamous Geetika Sharma suicide case. On the other hand, the Sai University in Palampur was set up on just 52 bigha. The government should set up norms and acquire surplus land, which can be used to set up information technology parks, tourism ventures and environment-friendly projects to generate employment. 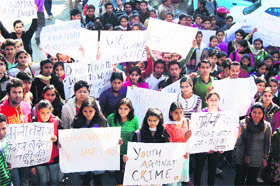 The government must review the decision to open the Himachal Pradesh Technical University (HPTU) without feasibility. The new university, along with the upgrade of some affiliated institutions into private universities, has seriously undermined the financial position of the HPU. Engineering and management colleges affiliated to the HPU have now been affiliated to the HPTU, which is not viable. The HPTU has committed blunders by lowering standards to help private colleges get students and allowed admission without the All-India Engineering Entrance Examination. The government also needs to review the BEd and nursing colleges which are not getting enough students to avoid malpractices. It should not hesitate in closing the institutions which lack the requisite infrastructure and staff so that the rest are financially viable. There is an urgent need to strengthen the State Private Educational Institutions Regulatory Commission, which had taken some steps to rein in private universities. The relevant law should be amended and the enforcement of norms for all universities, including state ones, should be assigned to it. The HPU and the HPTU have failed to enforce norms in affiliated institutions. This is evident from the fact that 40 per cent of the seats in the 17 affiliated engineering colleges are vacant despite bypassing the entrance test. The pass percentage of the first-semester examination has been as low as 11 per cent. Some polytechnic institutions have even recorded zero per cent result. As the Leader of the Opposition, Vidya Stokes had said on record in the House that Himachal Pradesh had virtually become another Bihar due to the indiscriminate opening of private universities. Now that the Congress is in power, it is incumbent on its government to take all possible steps to stem the rot in higher education and salvage both the reputation of the state and the future of students. The meeting that was also attended by Garga adopted a unanimous resolution naming these leaders and urging the party high command for their expulsion from the party for at least six years. The meeting was not attended by the leaders who were named for their anti-party activities. All booth, panchayat and party representatives of various wings and morchas, including district BJP secretary Bhim Singh Chandel, state mahila morcha vice-president Raksha Thakur and secretary Vijay Sharma, district president of mahila morcha Usha Thakur, BDC member Anisha Sharma, Jagdish Sharma and Dr Shyam Bihari Sharma, former mandal president Capt Ram Singh (retd) and other leaders Sheetal Bhardwaj, Veena Sharma, Mira Devi, Nirmla Devi, Pritam Singh, Des Raj, Narender Thakur, Karam Chand, Mohinder Pal Ratwaan, Ram Prakash, Gyan Chand, Prem Singh, Suresh Sharma, Onkar Chandel and Chuni Lal were among those present. He said it was important to strengthen the party and discipline erring party men who had worked against official candidates so that discipline could prevail. He said the party could have won more seats in the district if anti-party activities had not taken place. Addressing mediapersons here today, he thanked the Chief Minister for allocating a berth in the Cabinet to Solan legislator Dhani Ram Shandil. Thakur said the state government would ensure the early installation of a substation for the Giri potable water scheme which had been inaugurated in haste without proper completion by the previous government. He said the scheme would ensure the availability of adequate water to all areas, including Solan, where water availability was low due to low voltage. He said the government would provide health, road network, education and water facilities as per priority. He said the move to connect by road villages with a population of at least 100 would facilitate a large section of the population. The police has registered a case in this regard against the erring factory management of Varahi Industries and the contractor concerned under Sections 336 and 304-A, IPC. The company manufactures bottles for packaging and the mishap occurred when the manager, Mohan V Parmar, was inspecting a shed on the first floor of the two-storey building and an internal wall of nearly 10 feet collapsed and fell on him. He was referred to a private hospital at Mohali where he was declared brought dead. The police has sent the construction material to Forensic Science Laboratory, Junga, for ascertaining the exact cause of the accident and a report was also being sought from an assistant engineer of the Baddi-Barotiwala-Nalagarh Development Authority. Preliminary investigations by the police reveal that the wall of the first floor was not strong enough to withstand the weight of metal structures and they gave way owing to excess weight. This was not the first case where such laxity had been noticed in the industrial area. There was little check on maintenance of quality work in various construction sites. Cases of negligence where industry workers received minor and major injuries were being reported from the BBN area every now and then. Superintendent of Police, Baddi, S Arul, while agreeing to an increase in accidents relating to laxity in adopting safety measures in the BBN area, said he would take up the issue with the authorities concerned for better regulation. Earlier, an air-condition manufacturing unit was penalised for negligence when a massive fire had led to the death of nine employees in Baddi in 2009. Under this system, the RBI had instructed all banks in the country to issue new chequebooks to all customers having the facility, making all previous chequebooks redundant. While the new CTS will speed up the clearing of all outstation cheques, it will also eliminate the chances of forgery of cheques and tampering with those. After the introduction of this system, postal or physical transportation of cheque for clearing will be replaced with an electronic transmission system through which the signature of the person issuing it will be verified. For clearing a cheque, its scanned copy will be transmitted through the electronic system and the signature of the customer will be verified through a magnetic ink corrector. It will reduce the time of clearing cheques from several days to just a day. For making the system foolproof, the RBI has directed all banks to withdraw existing chequebooks issued to customers and issue new cheque books. The new chequebooks will bear an emblem and have the minimum chance of tampering with. To save customers the hassle of collecting the new chequebooks, banks will send those to their postal addresses. Earlier, District Attorney Shamsher Singh Kaushal told the court that on November 15, 2008, ASI Lekh Ram and ASI Krishan Chand, with Head Constables Hem Raj and Pradip Singh, had stopped two persons and seized 600 gm of charas from Pyare Lal, while the other person, Yogesh Kumar, accompanied him. The court gave Yogesh the benefit of the doubt and acquitted him in the case. He said the conditions of roads, water supply schemes and health services had gone from bad to worse, causing hardship to the common man. Talking to this correspondent here, Butail said leaders of the BJP had laid foundation stones for a dozen development projects in the town, but construction was not taken up. Former Chief Minister PK Dhumal had inaugurated the Mini-Secretariat, but the building was half complete, without parking facility and regular water supply. Dhumal had laid the foundation stone of a multi-storey parking in 2008 and of a residential complex for doctors in 2010, but construction was yet to start. Butail said he would call a meeting of senior officers with the PWD, Irrigation and Public Health, urban development, revenue and health to review all development projects. He added that new parking lots would be constructed in the next two years. He further said vacant posts of specialist at the local Civil Hospital would be filled soon. A Division Bench comprising Justice Deepak Gupta and Justice Sanjay Karol passed these orders during the hearing of a petition filed by Amandeep Chauhan against the Union and the state governments with the prayer to direct the government to formulate a uniform drug policy and regulate the maximum retail price of the drugs. The petition highlighted how certain life-saving drugs are being sold at exorbitant rates. The court directed the state government to seriously consider the suggestion that there should not be much difference between the maximum retail price and the distributor’s price of a particular drug. The price at which this drug is sold in wholesale should also be depicted on the packing. It further directed the Secretary and Director, Health, to file an affidavit in the court stating what steps they were taking to ensure that drugs were available at the minimum cost and pharmaceutical companies were entitled to charge reasonable profits. The court has also taken a serious note on the issue of providing freebies to the medical practitioners by pharmaceutical companies and observed that “one of the main expenses what pharmaceutical companies incur is in providing freebies to medical practitioners. The apex pharmaceutical pricing authority has stated that even if the product is not covered under the price notification, its price approval should be sought from the NPPA. All state drug licensing authorities have been directed to strictly adhere with these orders and initiate action against the wrongdoers. A committee constituted to look into the issue has recommended that any notified formulation sold either at a higher price than notified or without price approval shall be liable for action as provided under the Drug Price Control Order (DPCO) 95. All price violations will fall under the overcharging case or the without price approval cases (WPAC) category or both. If despite a formulation being covered under the said notification the manufacturer fails to adhere to the notified price on the plea of certain addition or deletion or change in its composition or even packing, then also the case will fall under the category of overpricing and action will be initiated for recovery of overcharged amount along with the interest. In case of the WPAC where no price of a formulation has been fixed, the NPPA shall initiate action for recovery of the entire amount of sales realisation from the date of introduction of such formulation in the market considering the fact that no prior approval for price had been sought. Even in cases where formulations are sold in the market prior to fixing of their price, the entire sale amount will be recovered. For small-scale industries, the benefit of exemption will be available only to those products which were in existence at the time of granting exemption by the NPPA. Though the government has introduced a price control mechanism to ensure availability of affordable drugs, lack of staff impeded its proper implementation. The availability of adequate snow at various tourist places has proved to be a blessing for hundreds of people who have been directly or indirectly linked to the tourism industry. The number of tourists reaching Manali has gone up manifold in the last two days. According to sources at the green tax barrier, nearly 700 vehicles from outside the state entered Manali on December 29. The number further increased to about 925 vehicles on December 30 and is likely to increase on December 31. Besides, hundreds of commercial and non-commercial vehicles bearing registration numbers of Himachal entered the town. Also, 25 to 30 buses are entering Manali every day. For the first time this winter, the Solang valley, Kothi and nearby snow-covered areas witnessed a heavy rush of tourists owing to New Year celebrations. 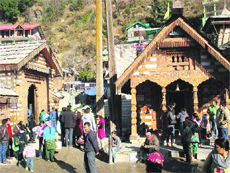 The Hadimba Temple, Club House, Vashisht Rishi Temple, hot water springs and nearby tourist spots of Manali saw a huge rush of tourists today. The Mall Road area also witnessed a big crowd of tourists in the evening. Tourists enjoyed the snow in the morning and later hot water springs at Vashisht. They also paid obeisance at the Vashisht, Rama and Shiva temples. They were spotted having photo sessions while enjoying snow activities. Local residents of adjoining villages of Manali, who earn their livelihood renting out snow shoes, snow dresses etc were seen busy after a long time. The inroads made by the Bharatiya Janata Party (BJP) into the Congress stronghold of Sirmaur proved futile as Kangra, in keeping with its reputation of alternative swing in favour of either party, ensured the formation of the Virbhadra Singh-led government. During the last elections, the BJP had won eight seats in Kangra when the total number of seats was 16. Its tally later went up to nine as the Bahujan Samaj Party legislator from Kangra, Sanjay Chaudhary, joined the party in power. This time, Shimla played a crucial role in bringing the Congress back to power with six of the eight seats in its kitty. The party marginalised its rival, with the BJP winning just one seat. One seat was won by an Independent. In 2007, the Congress had won five seats and the BJP two while one went to an Independent. The BJP also received a setback in Hamirpur, the home district of PK Dhumal. The party had swept all five seats in 2007. 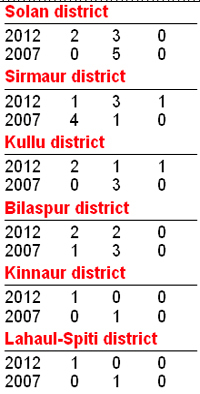 Contrary to its prediction of sweeping the elections in the district again, the BJP managed only three this time. While the Congress won one seat, one went to a BJP rebel who contested as an Independent. The situation was reversed in Sirmaur, where the BJP won three seats compared to one in 2007. The Congress was left high and dry with just one seat in sharp contrast to the four it won in the last elections. One seat was won by a Congress rebel who contested as an Independent. In Solan, where the BJP had swept all five seats in 2007, the party lost two seats this time. In Mandi, with 10 seats, the scales were evenly balanced as the Congress and the BJP won five each. 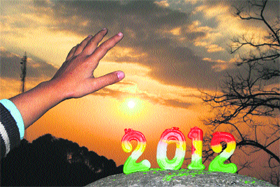 In 2007, the BJP had won six seats and the Congress three while one was won by an Independent. The three tribal seats of Kinnaur, Lahaul-Spiti and Bharmour, which were won by the BJP in the last Assembly elections, were wrested by the Congress this time. The rest of the districts, Kullu, Bilaspur, Chamba and Una, gave mixed results. Revenue and Health Minister Kaul Singh Thakur today clarified that the report of the one-man commission set up by the Bharatiya Janata party (BJP) regime would be placed before the Cabinet shortly. “Since the Congress is of the opinion that the report of the committee is one-sided as all documents were provided by the BJP regime, we will place it before the Cabinet, which will take a decision on it,” he remarked. Kaul Singh said the Congress had raised objections from Day One, both in and outside the Assembly, when the commission was set up. “We will ask the Principal Secretary for Revenue to direct the respective Deputy Commissioners (DCs) to put on hold the recommendations made by the commission which the BJP regime wanted to push through,” he said. The BJP regime had set up the commission, which in its report recommended action against certain individuals, including builders. The government had asked the respective DCs to act as per the recommendations in the report. Kaul Singh said all cases of relaxation given under Section 118 of the Tenancy and Land Reforms Act by the BJP regime would be reviewed. “I want to assure you that we will not act with political vendetta. We will look at things in the most positive manner and take action in accordance with the law,” he said. He further said land purchases made by private universities would be examined to see if more land than the limit permissible had been bought. He added that another serious violation would be looked into to ascertain if prime agricultural land has been bought in violation of the law and if private purchases had been made by submitting fake or wrong agricultural certificate. The main accusation of the Congress against the BJP regime was that Himachal Pradesh had virtually been put on sale. The issue of mushrooming private universities indulging in real estate under the garb of educational institutions had figured prominently in the Congress charge sheet submitted to the President and the Governor. It was being expected that a review of the permission given by the BJP regime for land purchase would be among the first steps the Congress would take on assuming power. Pathania, a four-time MLA, lost the Assembly election from the Bhattiyat constituency in Chamba with a slender margin of 108 votes. During the last five years he was the chief spokesperson of the Congress. A Virbhadra loyalist, Pathania contested the first Assembly election in 1985. As an MLA from 1993 to 1998, he won the Best Parliamentarian award. He was appointed Chairman of the State Finance Commission in 2003. Pathania, with his legal acumen and oratory skills, was amongst the most vociferous legislator in the Assembly during the five years. Addressing a meeting of Additional Chief Secretaries, Principal Secretaries, Secretaries, Heads of Departments and MDs of Boards and Corporations here today, he said there would be a state-level committee under the Chief Secretary, which would meet quarterly, and a district-level committee, under the Deputy Commissioners concerned , which would hold monthly meetings to review cases of atrocities on women and action taken by various authorities. There would be at least one woman constable at every police station and police chowki to take care of aggrieved women who came there to lodge complaints. He said the government was committed to root out corruption at all levels and those found guilty would be dealt with strictly. The interest and welfare of citizens were supreme and officers would have to ensure the delivery of goods and services to people efficiently, effectively and without leakages. All the payments to suppliers were to be made through RTGS bank transactions and no drafts and cheques would be issued. Similarly, individual benefits being provided by the Welfare Department, except pension, should also be released into the bank account of the beneficiaries. He asked the officers to work freely, fairly and as per the law. He directed the Chief Secretary to hold regular meetings with the departments to monitor the projects of the Government of India and ensure their timely completion. There would be a project monitoring unit in the Chief Minister’s office to review Centrally sponsored projects. Besides, the physical and financial targets allotted to each department in every quarter of the financial year should be achieved and utilisation certificates sent to the Centre in time. He asked the officers to ensure the early release of funds from the Centre under of the Accelerated Irrigation Benefit Project (Rs 250 crore) and the reimbursement of UGC pay scale (Rs 200 crore). Virbhadra said the government had adopted its election manifesto as a policy document and all the departments should ensure its proper implementation. The reports said the harsh cold conditions were an outcome of the fresh snowfall in high-altitude areas, and as a sequel to this, problems of inhabitants in remote Bajol, Nayagran, Kuleth, Deol and Holi gram panchayats had multiplied. The residents said the flow of water in the pipes started only when there was sunshine for some time in the daytime. Addressing mediapersons here today, party spokesman Kewal Singh Pathania said the government had allowed private universities to acquire large chunks of land without assessing requirement. These universities did not require the quantum of land and it would be appropriate to conduct an inquiry on whether or not the land was being utilised and action taken accordingly. Further, most of these institutions were blatantly violating UGC norms and had the requisite faculty and other infrastructure. The inquiry should also look into this aspect and the government take the required action in the matter. He also urged the government to cancel all the 51 appointments of teachers and other staff in Himachal Pradesh University, which were made during the elections when the model code of conduct was in force. Also the government should review all the appointments in the university during the previous BJP regime as there were several complaints of nepotism and favouritism, he said. He also urged the government to frame a permanent policy for PTA teachers and take necessary action to regularise their services. He said the previous BJP government hired lawyers even from outside the state and paid a heavy fee to them to contest such cases. He said the Kangra District Congress Committee would organise a samman samaroh on January 7 at Dharamsala to honour Chief Minister Virbhadra Singh, who did a miracle to bring the party to power in a short span of time. 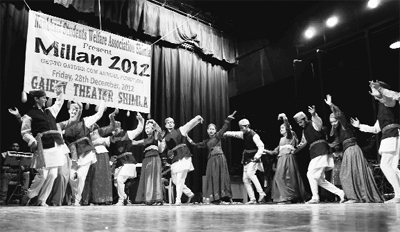 It was his idea to shift the state Board of School Education to Dharamsala and hold a winter session there. Reports said Amar Singh of Baadi Dhaar village, Piplughat, Solan district, was taken to the local Regional Hospital and later rushed to the PGI, Chandigarh, due to his serious injuries. But he succumbed to his injuries on way. He said students in most government schools lacked talent and skill development classes, which led to the neglect of the hidden talent in the village youth. He added that most of these students got introduced to education in the streams of music and painting when they entered colleges. Other experts said subjects like chemistry and algebra could only develop the logical part of students. They said arts subjects contributed to the education of young children by helping them realise the magnitude of human experience, see the different ways how human beings expressed sentiments and conveyed meaning and develop subtle and complex forms of thinking. They said the sum of these activities enhanced emotional well-being and social skills. They said it was a very important factor for the overall growth of students which could be considered on priority. A Division Bench comprising Justice Deepak Gupta and Justice Rajiv Sharma passed this judgment on an appeal filed by the Narcotics Control Bureau (NCB), Chandigarh, against the acquittal order passed by the Sessions Judge, Shimla, whereby he acquitted the accused. According to the prosecution, on June 18, 2001, the Intelligence Officer of the NCB, Chandigarh, along with other officials, stopped at a dhaba near the Nangala Devi temple at 10.30pm while going towards Theog from Shimla. While sitting at the dhaba, the official felt the odour of charas. The officials then questioned the accused, who revealed his identity as Jeet Ram, the owner of the dhaba. However, he tried to fled from the place, but was apprehended. A gunny bag was recovered from his possession in which 13 kg of charas was found. The trial court acquitted the accused on the ground that the prosecution case was not supported by any independent witnesses and that the prosecution has failed to prove that the charas was recovered from the dhaba of the accused or was found in the possession of the accused. Disclosing this today while addressing a public meeting at the Kutiara temple during an annual fair, Jwalamukhi MLA Sanjay Rattan said to take over the present degree college, being run by the Jawalamukhi Temple Trust, was not a poll gimmick, but a true poll promise which would be fulfilled by the Virbhadra Singh government. He said the government was committed to providing education at the degree level at the doorstep even in rural Himachal. Vishal Bhamnotra, Judicial Magistrate, Ghumarwin, recently held Vinod Kumar of Dehra Gopipur in Kangra guilty of careless and negligent driving and sentenced him to two-year imprisonment and a fine of Rs 8,000. The court found Vinod guilty of hitting Dina Nath of Padyalag Chowk village, near Ghumarwin, killing him on the spot. He was sentenced to two-year imprisonment and fined Rs 5,000 under Section 304-A of the IPC. The court also sentenced him to jail for six months and fined him Rs 1,000 under Section 279 of the IPC. He was sentenced to six-month imprisonment and fined Rs 1,000 under Section 185 of the IPC. He was also fined Rs 1,000 under Section 196 of the Motor Vehicles Act. All jail terms would run concurrently. Earlier, Assistant District Attorney Suresh Thakur told the court that the accident occurred on the evening of October 28, 2003. The prosecution presented eight witnesses. Contractual employees of the state government working in various departments in this district gathered under the banner of the All-Himachal Sarva Contract Employees Mahasangh under the leadership of state vice-president Rattan Lal Thakur. The meeting adopted unanimous resolution congratulating Virbhadra Singh for becoming the Chief Minister for the sixth time and expressed hope that the new government would do justice to them and solve their longstanding issues, including that of regularising their service after three years. The meeting formed a district executive committee in this district general house and elected Shyam Lal Sharma (Agriculture Department) as president, Shashi Pal Sharma (Education Department) as general secretary, Sanjiv Kumar (HRTC) as treasurer and Paramjit as organising secretary of the district association. District president Shyam Lal Sharma and general secretary Shashi Pal Sharma said here today that the meeting also adopted resolutions urging the government to give them new grade pay and benefit of 4,9 and 14 years and that the regularisation of their services should not be done from March every year, but from the due date and that they be given all benefits from the date of their first appointment after regularisation. He said the SFI would continue its crusade against the “anti-education policies” of the government. Rathore said the SFI was formed on December 30, 1970, and since then it had stood for the interests of students and appealed to SFI activists to reinforce students’ organisation. “Laxity in carrying out development works and compromise with their quality will not be tolerated at any cost. Any officer who cannot function accordingly may seek new posting stations,” he asserted.